Our Religious Education (R.E.) program is grounded in the UU Seven Principles, which are used to promote a sense of social justice and responsibility, tolerance, identity, and spiritual growth. Our purpose is to involve children in a religious community in which they develop a spiritual sense of themselves, their connection to others, and their connection to the world as a whole. We have approximately 75 youth participating in our Sunday morning program, with an average attendance of 35 each Sunday. We also have 25 adults teaching in our classrooms, with about 12 others serving as classroom aides and Service Sunday helpers. We ask that parents register their children for Religious Education classes by completing our online registration form. We offer monthly activities and events. Some of which are intergenerational, for the entire church, and some are just for youth and their families. Our Jr. Youth Group (6th-8th grades) has social gatherings, works together on service projects, and participates in other monthly activities. Our YRUU (Young Religious Unitarian Universalists) high school program meets Sunday after service to have discussions, host workshops and guest speakers, participate in service projects, and enjoy fun outings together. 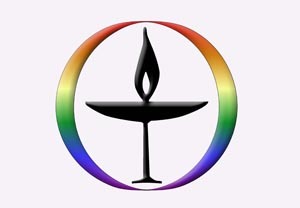 At the Unitarian Universalist Church of Columbia, you will find a flexible and growing experience-oriented approach to religious education. We define the role of religious education as nurturing the spiritual and intellectual growth of children, as well as developing connections to others in our church family. We believe that an experience is religious when it awakens the child to wondering, questioning, searching and discovering. Our religious education curriculum does not aim at indoctrinating, but at awakening; not at dogmatism, but at creative development; not at supernatural interpretations, but at natural acceptance. Our lessons help lead parents and children into new experiences and discoveries together, and they encourage the life-affirming and world-accepting philosophy that is most congenial to religious liberalism. We invite you to join us any Sunday! In September 2018 we resumed our schedule of offering children’s religious education classes at both 9 and 11 a.m. on most Sundays. The children will join their parents in the Sanctuary for the first 10-15 minutes of the worship service and then be led to their classes in the Lower Level by their teachers. There will be no R.E. classes once a month when we have multi-generational worship services. 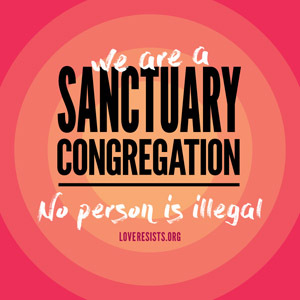 On those Sundays, the children are invited to be with their parents/guardians in the Sanctuary the entire time. Also, there is a Service Sunday once a month when all or most of the R.E. children participate in a service project instead of having regular classes. On all Sundays we will offer free nursery care for infants to 3-year-olds from 8:45 a.m. to 12:30 p.m.
11 a.m. R.E. classes will end at 12:15 p.m. Pre-school through 3rd Grade children will await pickup by their parents or guardians while older children will be dismissed to join their families on their own at that time. Our 9 a.m. multi-age R.E. program, called “Spirit Play,” is based on a Montessori approach to learning that encourages self-directed exploration and allows children to engage deeply with their own religious education in a way that meets their own individual needs and interests. This year the children will be learning about the UU Seven Principles. Potter Class: Our pre-K class will be using our new “Rainbow Connection” curriculum to learn about how our seven principles create a loving community. Schweitzer Class: Our K-2nd grade class will be using the new “Wonderful Welcome” curriculum to learn about what it means to be a people of welcome. Thoreau Class: Our 3-4th grade class will be using the new “Spirit of Adventure” curriculum designed for active learners. They will learn about famous UUs and how their beliefs inspired them to explore, discover and change the world. Adams Class: Our 5-6th grade class will be using the new “5th Dimension” curriculum to explore the philosophical questions raised in the Twilight Zone series (created by UU Rod Serling). YUUTs: Our 7-8th grade class will take part in our year-long Coming of Age program in which they will work on articulating their own theological beliefs and explore who they are becoming as they enter adolescence. YRUU: Our high school youth group will meet from 12:30 to 2:30 p.m. with a curriculum of their own design that will include discussions, workshops, service projects and plenty of fun activities. Classes end at 12:15 p.m. Pre-school through 3rd Grade children will await pickup by their parents or guardians while older children are dismissed to join their families on their own at that time. In addition to our regular Sunday School curriculum, our program provides opportunities for our children and youth to become better acquainted with our community as well. Our youth participate in Service Sunday on a monthly basis, performing service projects of various sorts. Our spacious and well-equipped nursery is available for use at no charge during the 9 a.m. and 11 a.m. worship services. Our nursery serves children from 4 months through pre-potty-trained 3-year-olds. Our nursery aides are contracted to have full responsibility for no more than three children each. Two aides work each Sunday. Parents and others are strongly encouraged to assist with care when there are more than six children in the nursery. Our Director of Religious Education (DRE) is Jamila Batchelder. Tracey Milarsky serves as chair of the Religious Education Team. Other members are the DRE and Amie Burling, Anja Eick, Andrew Eick, Corinne Mann, Becky Scott, and Lindsey Smith. The team meets in the Centering Room at 12:30 p.m. on the first Sunday each month.